The Armidale Aboriginal Cultural Centre & Keeping Place is where you can experience the diversity of Australian Indigenous arts and culture. It trades as the Aboriginal Cultural Centre and Keeping Place (ACCKP). The Centre is located in the beautiful city of Armidale, in northern New South Wales. The region is renowned for its friendly communities, rich Aboriginal culture, sporting facilities, entertainment venues and educational excellence. The Cultural Centre has four collections including the Artefact, Painting and Photographic Collections, and the Green Valley Collection. The Centre has regular art exhibitions, art conferences and exhibitions of works from local artists and artists from around the region. In addition, the Centre focuses on launching artist’s careers, and is interested in improving professional art practice and working with other galleries. 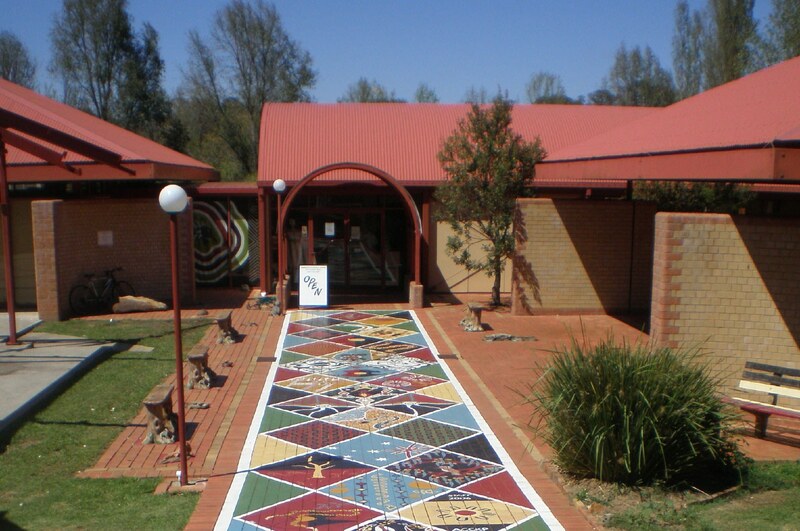 The Armidale Aboriginal Cultural Centre & Keeping Place sells art work from exhibitions, has rooms for hire and can cater for functions, and has a retail outlet. Buy an authentic Australian gift for yourself or a loved one from a wide variety of stock such as didgeridoos, jewellery, clothes, decorated pots, prints, greeting cards and a large selection of genuine Aboriginal souvenirs.